Came across this art catalogue for an exhibition entitled ‘heterotopia’ held in 2009 at Deutsches Architekturmuseum (DAM). Peter Cachola Schmal (Author), Peter Cachola Schmal (Editor), Yorck Forster (Editor)Heidelberg: Kehrer Verlag. The exhibition’s title “Heterotopia” is taken from Michel Foucault’s famous lecture and essay on “Other Spaces”, written in 1967. In it, the French philosopher outlines an analysis of space. For him, space is neither an abstract continuum nor the neutral coexistence of units, but a spatial situation that is characterized by a complex “assembly of relations”. “Heterotopias” are thus social places that exist in parallel and possess a changed relational and structural fabric, enclaves in a world, examples being prisons or sanatoriums. The exhibition will present works that can be classified as “Outsider Art”: The creators of the art exist beyond the pale of the established art world, and were exposed to extreme emotional strain or unusual experiences, were systematically excluded or ostracized by society. DAM owns a small collection of outsider artworks, and they will be on show in the exhibition, among others Stefan Häfner’s “Future City” (it has now been expanded to feature three building complexes), Hans-Jörg Georgi’ “Six Storey” cardboard airplane – both have their artistic home in Atelier Goldstein, Frankfurt/Main – and the scroll pictures by Patient N. They are supplemented by pieces by other artists that all have in common that they imagine subjectively shaped living places or world systems: There are the works of Dutch artist Willem van Genk (1927 -2005), which have inadequately be described as city and machine visions, reminiscent on the one hand of Dada, Pop Art, collage and comics, and, on the other, conveying much of the explosive force which the artist brought to bear in their creation. Then there is the entrancing kingdom of “Monera”, at which Dutch artist Gerard van Lankveld continues to work to this day. From the early 20th century Heidelberg Prinzhorn Collection come the sheets from Josef Heinrich Grebing’s trading empire and Joseph Schneller’s “Villa Laube” pieces. The “Heterotopia” is a version of the “Schets of Schim. Intuitive Architectuur” (“Intuitive Architecture. 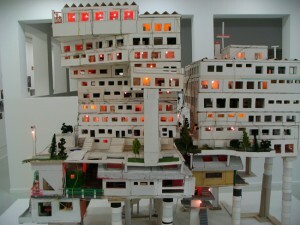 Sketch or Madness), presented in 2007 as part of the Time Festival Gent in Museum Dr. Guislain, Ghent, and revised specially for the DAM. Originally, the outsider works were shown in the context of historical architectural visions that were in large part taken from the DAM Collection – a method that has now been deliberately avoided. Precisely the DAM context of non-outsider art highlights works that would otherwise be subjected to a rigid distinction between accepted art and non-accepted outsider art. The imaginative power of the works on show tackles the major challenge facing architecture – to create a built “shell” for the world that is in harmony with the subjective desires of its inhabitants. Fritsch, K. (2015) ‘Desiring Disability Differently: Neoliberalism, Heterotopic Imagination and Intra‐corporeal Reconfigurations’, Foucault Studies 19: 310-327. Challenging the undesirability of disability is a shared responsibility that re‐ quires us to imagine disability differently. In order to imagine disability differently, we need to understand how the neoliberal hegemonic social imagination—key to processes that create good disabled and able‐bodied neoliberal subjects—works to curtail who is per‐ ceived to have a desirable body. In order to desire disability differently, we must begin with marginal, heterotopic imaginations whereby disability is not something to overcome, but rather is part of a life worth living. In this article, I build on Foucault’s concepts of heteroto‐ pia (1998), milieu, and the government of things (2007), and Karen Barad’s agential realism (2007), as well as draw on the work of Mel Chen (2012) and Rod Michalko (1999) in order to argue that the heterotopic imagination reconfigures how we consider disability to emerge, with whom, and where. By mobilising the heterotopic imagination, we can come to recog‐ nise that disability does not emerge as an individualised human body, but rather is an in‐ tracorporeal, non‐anthropocentric multiplicity. To desire disability differently through the heterotopic imagination is not simply to allow the current formulation of disability to be‐ come desirable, but rather to radically alter how we desire disability, in addition to altering what disability is, how it is practised, and what it can be. Gourlay, L. (2015) ‘Open education as a “heterotopia of desire”’, Learning, Media and Technology 40 (3) 310-327. The movement towards ‘openness’ in education has tended to position itself as inherently democratising, radical, egalitarian and critical of powerful gatekeepers to learning. While ‘openness’ is often positioned as a critique, I will argue that its mainstream discourses – while appearing to oppose large-scale operations of power – in fact reinforce a fantasy of an all-powerful, panoptic institutional apparatus. The human subject is idealised as capable of generating higher order knowledge without recourse to expertise, a canon of knowledge or scaffolded development. This highlights an inherent contradiction between this movement and critical educational theory which opposes narratives of potential utopian futures, offering theoretical counterpositions and data which reveal diversity and complexity and resisting attempts at definition, typology and fixity. This argument will be advanced by referring to a one-year longitudinal qualitative multimodal journaling and interview study of student day-to-day entanglements with technologies in higher education, which was combined with a shorter study focused on academic staff engagement. Drawing on sociomaterial perspectives, I will conclude that allegedly ‘radical’ claims of the ‘openness’ movement in education may in fact serve to reinforce rather than challenge utopic thinking, fantasies of the human, and monolithic social categories, fixity and power, and as such may be seen as indicative of a ‘heterotopia of desire’. 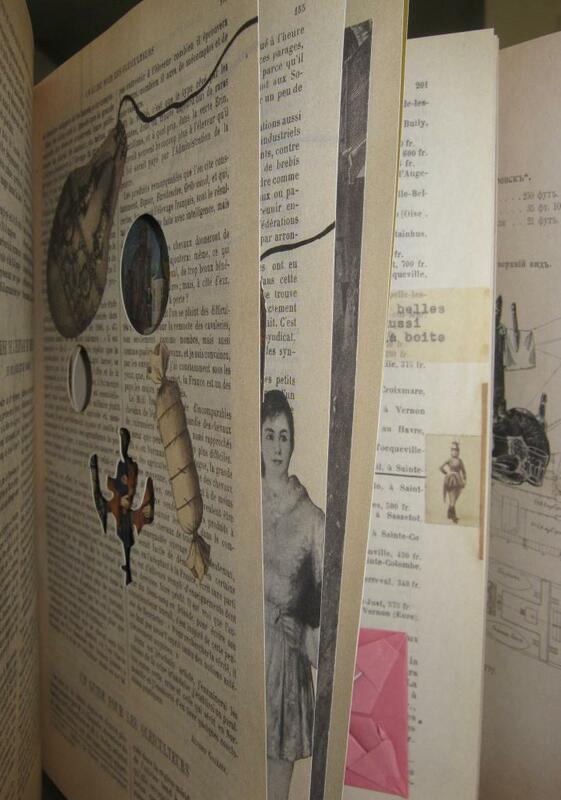 I publish today a short paper that explores some of the spatial complexities in Joseph Cornell’s untitled book-object which was discovered by the curator Walter Hopps whilst sorting through Cornell’s studio shortly after his death in 1972. The Philadelphia Museum of Art holds the fragile book which cannot be easily exhibited but they have helped to make it accessible through the publication of a wonderful facsimile of 60 pages and a CD which allows you to turn and inspect each page of the original (see below). Leppanen-Guerra, A. and Tasjian, D. (eds.) 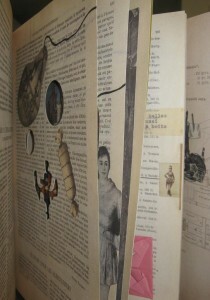 (2012) Joseph Cornell’s Manual of Marvels (including CD, facsimile and essays). London: Thames and Hudson.